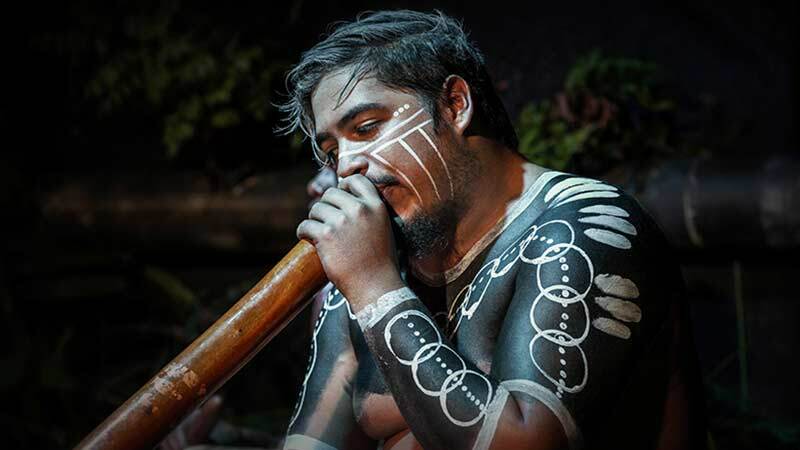 Discover the magic of Australia’s Indigenous culture by night with an unforgettable evening of delicious food and world-class entertainment including, a didgeridoo journey, night fire dance and fire-making ceremony. Night Fire is Tjapukai’s signature evening activity where you will meet the Indigenous rainforest people, the Bama. With the haunting sounds of the didgeridoo in the background, you will have your face painted in order to link you to their traditional land while taking you on a mesmerising journey. You’ll then dine on the culinary delights of Tropical North Queensland with a delicious hot and cold buffet including seafood. The night culminates with an intimate chat with the performers by the fire and the chance to take photos. Transfers depart from Cairns City at 6.15pm, returning at 9.45pm.